High-quality mixing desk dust cover for DIGICO D 1 Live. Available in Microfibre & Polyester. High-quality mixing desk dust cover for DIGICO D 5 Rc. Available in Microfibre & Polyester. High-quality mixing desk dust cover for DIGICO Ex 0. Available in Microfibre & Polyester. High-quality mixing desk dust cover for DIGICO Fp 0. Available in Microfibre & Polyester. High-quality mixing desk dust cover for DIGICO Hd 0. Available in Microfibre & Polyester. High-quality mixing desk dust cover for DIGICO S 21. Available in Microfibre & Polyester. High-quality mixing desk dust cover for DIGICO S 31. Available in Microfibre & Polyester. High-quality mixing desk dust cover for DIGICO Sd 10 B. Available in Microfibre & Polyester. High-quality mixing desk dust cover for DIGICO Sd 10 T. Available in Microfibre & Polyester. High-quality mixing desk dust cover for DIGICO Sd 11 B. Available in Microfibre & Polyester. 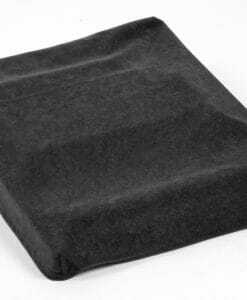 High-quality mixing desk dust cover for DIGICO Sd 11 I. Available in Microfibre & Polyester. High-quality mixing desk dust cover for DIGICO Sd 11. Available in Microfibre & Polyester. High-quality mixing desk dust cover for DIGICO Sd 5 B. Available in Microfibre & Polyester. High-quality mixing desk dust cover for DIGICO Sd 5. Available in Microfibre & Polyester. High-quality mixing desk dust cover for DIGICO Sd 7 B. Available in Microfibre & Polyester. High-quality mixing desk dust cover for DIGICO Sd 7. Available in Microfibre & Polyester. High-quality mixing desk dust cover for DIGICO Sd 7 T. Available in Microfibre & Polyester. 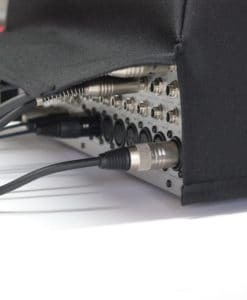 High-quality mixing desk dust cover for DIGICO Sd 8 24. Available in Microfibre & Polyester. High-quality mixing desk dust cover for DIGICO Sd 8. Available in Microfibre & Polyester. High-quality mixing desk dust cover for DIGICO Sd 9 B. Available in Microfibre & Polyester. High-quality mixing desk dust cover for DIGICO Sd 9. Available in Microfibre & Polyester. High-quality mixing desk dust cover for DIGICO Sd 9 T. Available in Microfibre & Polyester.